Here's the Mini Book workshop that we did at the S&C show in Melbourne in September. It was a lot of fun! You can check out the workshop here, or just click on the album in the sidebar. This one is a real workout with the Ultra Shapexpress and the Heidi Grace Oh so Loved range! Lee here checking in to say Hi! Totally loved Ang's layout using the new Urban Acres Blvd that she got me inspired to get out my stash and create as well. 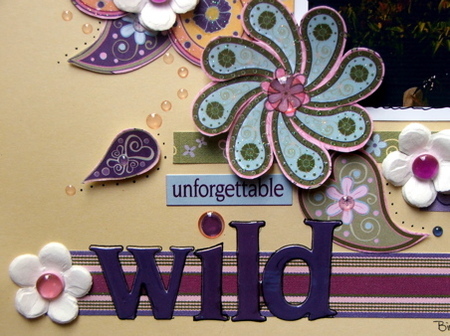 This layout uses Words which is embossed cardstock, Paisley which is double sided and also has the Green polka dot paper that you can see on the tag and file tab and Urban Acres Blvd Alphabet. The Words paper I have cut out 5 words from left over paper and adhered to the layout using foam tape to hightlight some of the words. 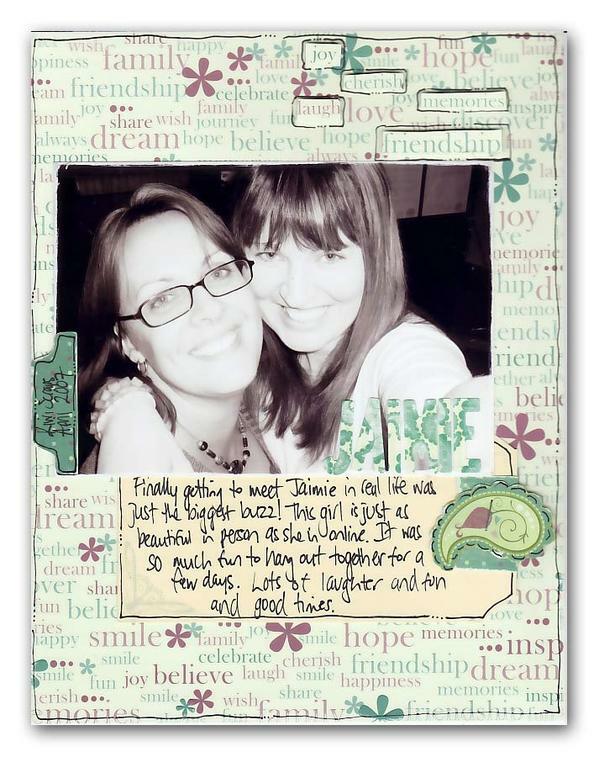 This layout features my gorgeous friend Jaimie who I got to catch up with at Kiwi Scraps. Hi there...Ang here! Just thought I would share my latest layout using the beautiful Heidi Grace Urban Acres range. 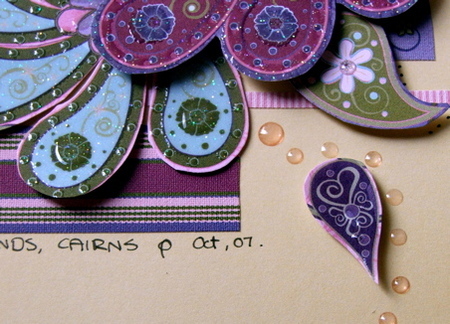 I love the colours in this one and as always the choice of embellishments are endless. The range is gong to be available at Spotlight from February. Have a great weekend and stay tuned for the next challenge! Hi to all, I haven't shared in a while. I decorated the Kaiser word JOY earlier this week. 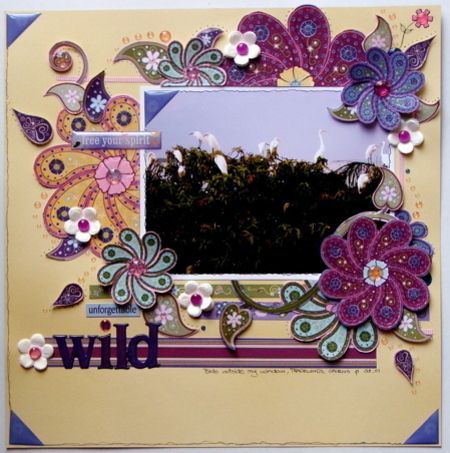 I used Heidi Grace Designs, Urban Acres Blvd range. They are a beautiful range of double sided papers. The picture looks more yellow but it's a pale green. Not the best photos as I took the pictures at night. I painted the edges of the word in pearl green acrylic paint. It matches the paper perfectly. I embellished with ribbon and MM holly leaves. This was a quick project to complete. 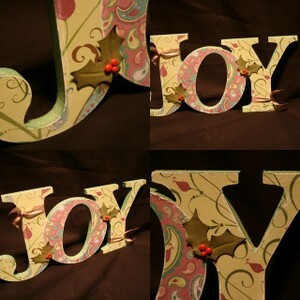 Remember you don't always have to use Christmas themed papers to decorate an item for Christmas. I've just uploaded the Brittany's Castle layout that I taught at S&C Melbourne as a slideshow/workshop, which you can see in the sidebar under online workshops, or use this link to go to it. 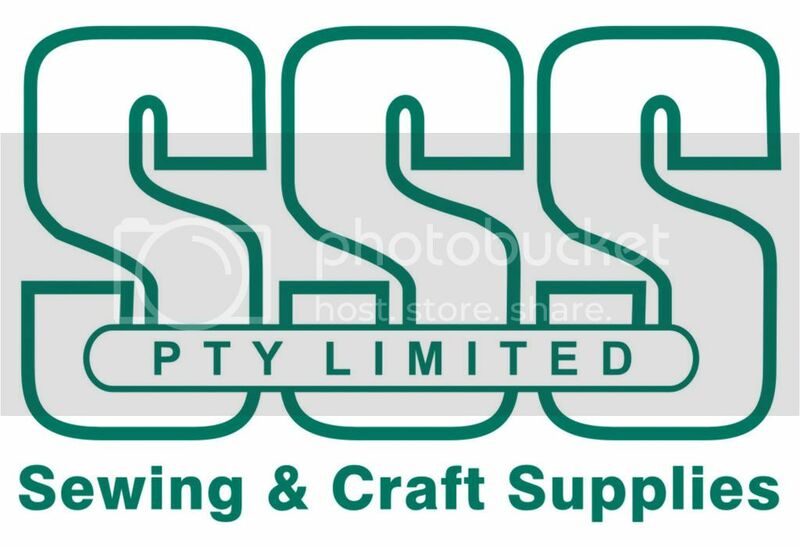 Hi all, its been a while what with school holidays and work etc. Well as you have probably seen in previous posts we had a visit from the lovely Ngaire for the Paper Possibilities retreat on the weekend. A good time was had by all with lots of creativity going on over the weekend. 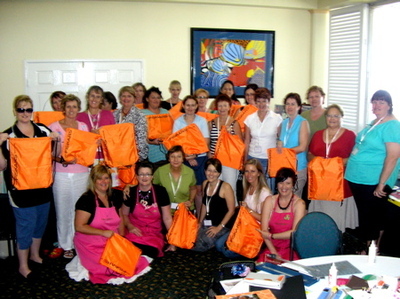 Plenty of classes to attend (I managed to fit 2 of Ngaires in - had a ball). Plenty of laughing, champagne and scrapping over the entire weekend made for a very pleasant time. I forgot my camera (can you believe it?!) so thankyou Ngaire for posting some photos of all the girls with their Fikars bags, I still have to chase some photos up from Melissa and the ladies from the weekend. I wanted to say a very BIG THANKYOU to Fiskars who were so kind and generously supplied our ladies with a bag full of goodies each. Everyone was thrilled, with many of the products already on layouts! I did take a few photos of my son Christopher who was in his element when I asked him if he would like to organise and pack the bags for me a couple of days prior to the event. A good few hours work as he had 60 to do and his little sister only managed to stay focused enough to do 10. He did a perfect job, shame he isn't as diligent with tidying up his bedroom! I know two posts in two days!! LOL.. miracles really DO happen!! Ok.. so what did i use in this layout?? Enchanted forest blue and pink cardstock. and this and that epoxy stickers. These cool egrets were grouped in a tree just outside my room in Cairns.. there were over 200 of them!! I was just amazed to see them all sitting there as the sun went down. When I got home, THIS was the image i really wanted to scrap... and this was the result!! Lynita Chin...........congratulations.........you have won the OCTOBER "PUNCHING" CHALLENGE! Lynita showed great use of the Border Punch....by punching a strip and then attaching it to the side of her photo it really enhanced the pic! I love the way Lynita has created the flowers with punches and added her own style by cutting the petals......and how cute is that "tag" hanging from the bottom flowers....the overall colour scheme of the layout is so "fresh" and "appealing".......thanks for entering Lynita.....your work is just stunning!! 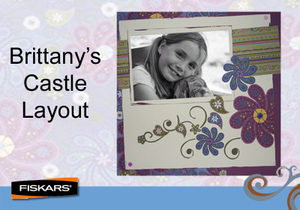 You have some FISKARS HAPPY MAIL coming your way........please email your postal address to Trina! Allison.......loved the "blub blub" card.....like how you used the circle punch to round the corners and then matted the same way........well done! 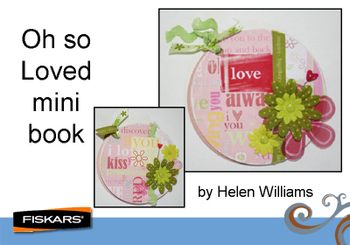 Debbie.....lovely Matching Card /tag.......creative use of the flowers 3in 1 corner punch. Also love the way you have embossed and added an accent on the Notepad along with the border made with the border punch.......great!! Jennifer....Pink Canvas...love the punched flowers and how clever are those ribbon stems !...wonderful! Rita.........love how you have used the hearts punch and then added your own touch by drawing lines around them....both on the inside and outside of the shapes....well done!! 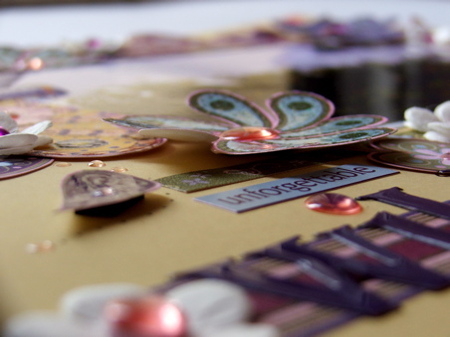 Lesley.......What a stunning layout....by creatively placing the punched diamonds you have really made the photo the focus of the layout.....wonderful! !Love the added diamond border strip to the pic...GREAT! !...ooh...I nearly forgot....loved what you did with the tag punch to make the flowers on the layout that Trina shared.......very creative! Thanks also to our Ambassadors Trina and Paula who also shared layouts using punches.....sorry girls....no prizes allowed for you two.....he,he. Thank you to all those who participated in the OCTOBER "PUNCHING"CHALLENGE and for sharing your work with everyone......it's always nice to share ideas..........it's also great that FISKARS are offering CHALLENGE PRIZES each month.......so keep watching this space for more SHARES.......more CHALLENGES......more COMING EVENTS......can't wait to see what the NOVEMBER CHALLENGE is...remember ...there is a new challenge added at the start of each month and you have until the 15th of the month to enter. CONGRATULATIONS again Lynita....your work was stunning!! Thanks to everyone who entered! 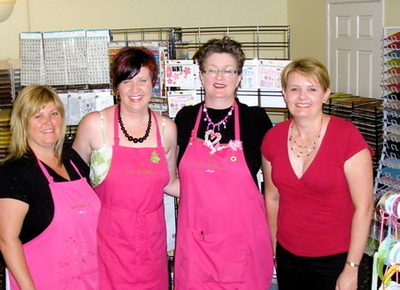 Just wanted to pop in and share a couple of photos of Cairns over the weekend.. where I had the huge pleasure of teaching with fellow Fiskars gal and card artist, Annette Hannigan at the Paper Possiblities Scrapbooking Convention. Annette, Me, Melissa and Nickie. I also wanted to share a layout I created for a friend's Bubby.